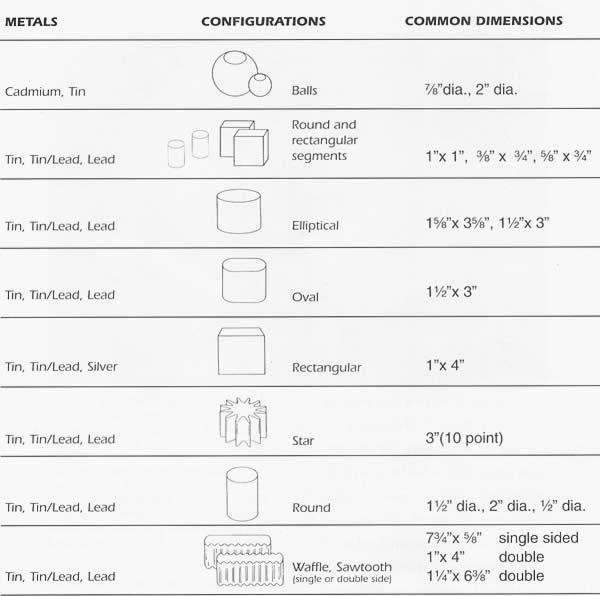 AIM offers a wide selection of Electropure brand metals in a variety of shapes and sizes for electroplating. These anodes are manufactured in our ISO 9001/QS 9000 certified facility and exceed all applicable industry specifications. AIM’s Electropure Plating Anodes are processed from virgin metals in a proprietary method that removes dirt and reduces dissolved oxides to a minimum. This unique manufacturing process produces an anode with proper dissolution, low sludging, and a decrease of defects. ● Other alloys are available upon request.